Along with MBOX emails to HTML , the software converts MBOX files in more than six file formats. Software supports more than 14+ Email Client Platform. Click on scan button. Select MBOX file type and browse file from system. Tool completely scan and load file for preview after few time. For selective conversion select files using checkbox and then right click on it to export. Choose destination file type. Use export option to optimize resultant data. Browse location to save file and then click on ok to start process. I have some important emails in the mailbox of my email client. I want to make the repository of informational emails on the central server of the organization so that if any employee needs it then he merely download it and view it on browser easily. But there is the problem which turbid me the most that I did not get any automated solution that converts my emails with meta data to the web-based format. Does the software maintain the metadata? Is there any possibility to loss of data while converting to HTML? I have around 1500 emails to store on the server. Can I convert bulk mbox emails to html? Does the software sustain the internal structure of email as well? Are the attachments also get converted to HTML format during conversion of mbox files to html? Can I named the emails according to different naming conventions from software panel or not? The only solution for your problem is the use of MBOX files to HTML Converter. It has well-refined collection of advance features. The software maintains the default metadata information such as From:, To, Subject, Email signature etc. The MBOX to HTML Converter uses the best security practices to prevent from uneven data loss. It has the capability to perform the bulk conversion of mbox emails to HTML. The mbox files to HTML converter tool sustain the default formatting of the tool and embed the attachments in the same HTML file. It also provides the superb multiple naming conventions for better file management. 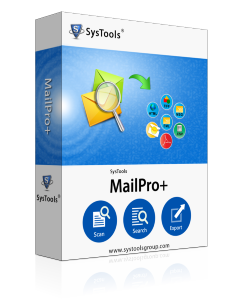 Does this software support MBOX files belonging to all email clients? Yes Convert MBOX files to HTML software is designed with advance coding and is capable to support MBOX file format belonging to any email client successfully. Is it mandatory to have an MBOX-supporting email client in the conversion machine? No. MBOX to HTML converter can work successfully without installing any specific email client and there is no compulsion on MBOX-supporting email client as well. How to cease the duplicate items of MBOX emails from being converted? Export MBOX emails to HTML Software is embedded with an additional option using which the duplicate emails can be removed. Users can check the "Exclude Duplicate" option and inhibit duplicate emails from being converted. The HTML format is mends only for the web. It is easy to maintain HTML pages rather than the word or other documents. Having the email in HTML format make your document platform independent. You can easily open your email on any web browser. These are the few reasons which are enough to use MBOX to HTML Converter to convert mbox emails to HTML format.